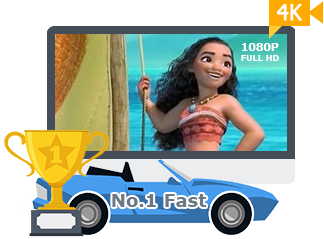 Best DVD ripper for Mac users to rip both homemade and commercial DVDs to any format at NO.1 fast speed and original quality. The first and only tool to support all knotty DVDs (new DVD, 99-title DVD, damaged & unplayable DVD) and rip DVDs/ISO images/folders in all sorts of formats, including DVD to MP4, HEVC/H.265, H.264, MOV, FLV, MPEG4, AVI, QT, MP3, etc. 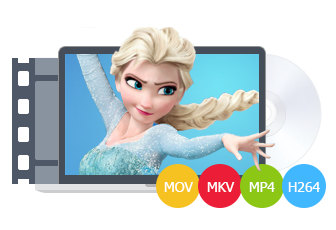 With 350+ preset profiles, MacX makes it hassle-free to convert DVDs and turn them into more compact digital files for playback on iTunes, QuickTime, iPhone, iPad, Apple TV, Android, PS4, etc. You can also clone DVD to ISO image at 1:1 ratio and copy DVD title to MPEG2 and MKV with all/selected videos, audios and subtitles. 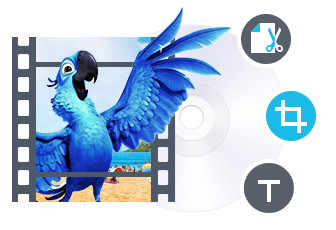 Digitize DVDs to protect them from scratch or damage and enjoy them anywhere anytime. 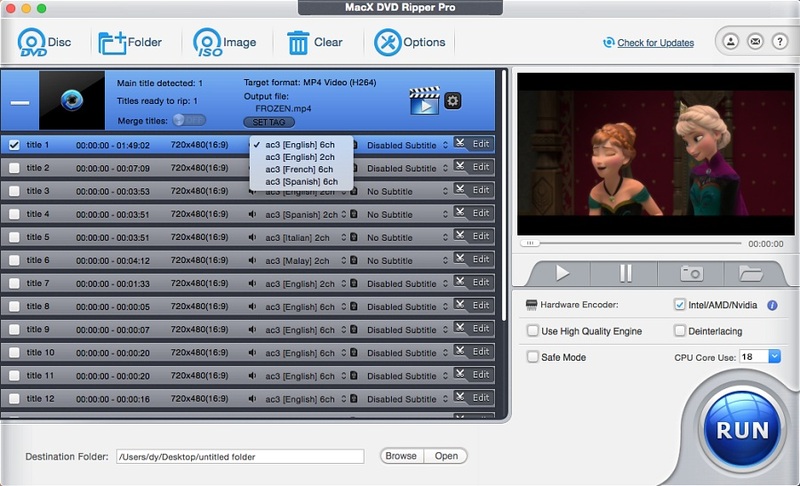 MacX DVD Ripper Pro uses your Mac's GPU to do hardware encoding by default. This means your CPU – and system fans – stay calm and collected while the rip is happening, unlike Handbrake where everything is maxed out. Speed-wise this helps and, in the tests we've done, MacX DVD Ripper Pro bests Handbrake for Mac every single time. 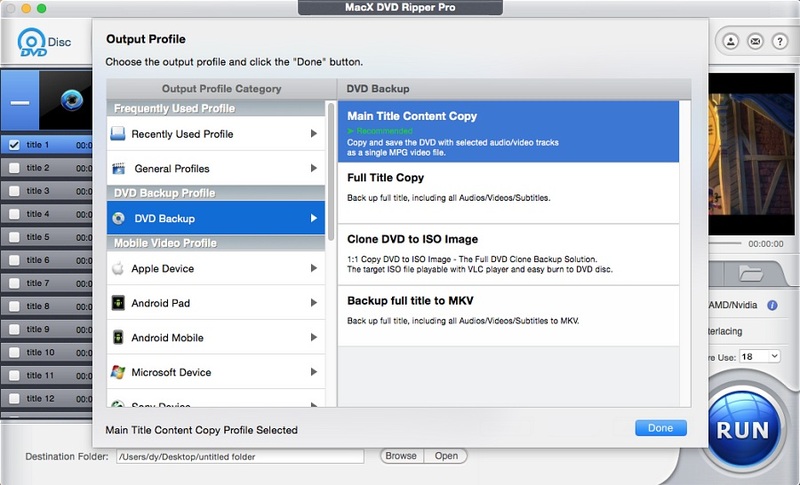 With MacX DVD Ripper Pro, you can back up DVDs in multiple formats to ensure you don't lose precious memories or costly software, and you can even rip protected DVD to a slew of iOS devices in minutes without compromising quality! Rip DVD to MP4, HEVC, H.264, MOV, M4V, QT, AVI, MPEG, FLV, MP3, to name just a few. 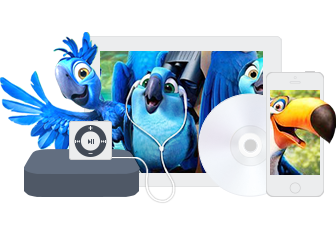 You can directly watch DVD movie in iTunes, QuickTime, media player, portable devices, or import the converted video to iDVD, Final Cut Pro and iMovie to make a personalized video by courtesy of the Mac DVD ripping software. Click to view supported DVD and output video formats/devices. The new DVDs are constantly bogged down with 99 titles and enormous file size larger than 40 GB. This leads to various DVD ripping errors, e.g. no title found, software stuck, incomplete encoding, scrambled rips, etc. With rebuilt DVD analysis algorithm and title check mechanism, MacX now solves the longstanding issues with DVD backup. It supports any types of DVD (UDF, non-UDF or ISO 9660) and flawlessly rips the recently released movies and TV series in NTSC or PAL, DVDs with 99 titles, workout and damaged or unplayable DVDs, with 100% success rate. With unique Hardware Acceleration, Hyper-Threading, batch conversion, and Multi-Core CPU processing tech, you can make maximum use of CPU and GPU, and speed up DVD ripping dramatically without computer overheating or stuttering. The "High Quality Engine" and "Advanced Deinterlacing Accelerator" are designed to make sure the output quality keeping the same as the original. It turns out to be 5-10 min only to rip a full DVD with no loss in quality, depending on computer hardware. The unrivalled turbo fast speed casts other competitors into the shade. Featuring an efficiency compression engine, MacX is the ultimate destination for you to backup and highly compress DVD to a compact file perfectly sized for Mac SSD, HDD, USB, or NAS. 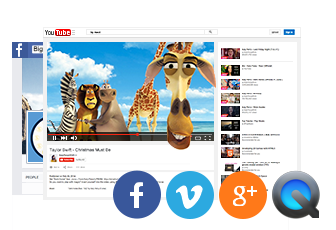 It greatly reduces the DVD file size to free up your storage space, with output video quality kept maximally. * Compress a DVD (7.5GB) to digital file (0.5-1GB), with no key frame drops or pixilation. 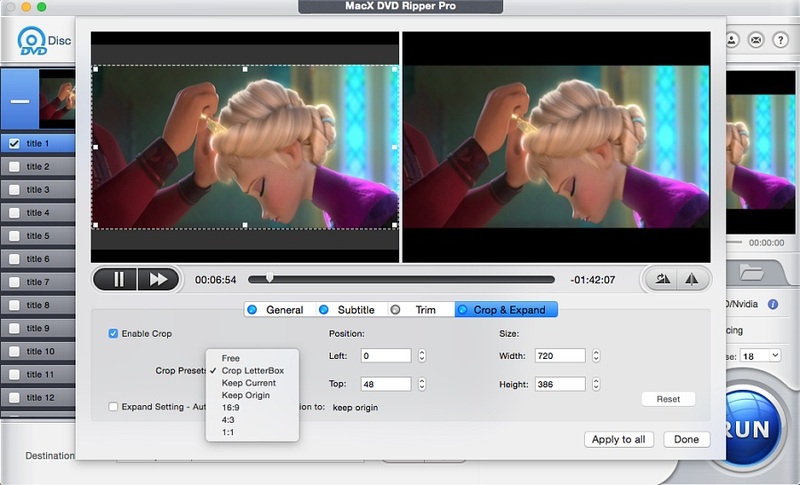 MacX lets you rip any DVD on Macbook/iMac to Apple-specific MP4, MOV, H.264, HEVC that are compact and playable on iPhone, iPad/Pro/Air/Mini, iPod and Apple TV. 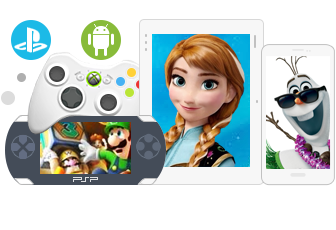 It is also preconfigued with clearly classified 350+ profiles library, ranging from Android Samsung/Huawei, gaming systems PSP/Xbox, to SNS YouTube/Facebook. This makes it a snap to turn your DVDs into digital copies for storing, archiving, playing and sharing without even knowing the obscure settings. Note: MacX keeps adding the support of new formats and devices, including iPhone XS. The "Copy" feature gives you a handy DVD backup solution with intact video/audio quality in a few minutes. You can copy DVD on MacBook Pro/Air, Mac Mini, iMac with lossless output quality and 5.1 channels Dolby AC3/DTS audio. It will produce a single MPEG2 file so you can store it on your Mac, external hard drive, NAS, or USB, play it with VLC or QuickTime Player. It also features cloning DVD to ISO image, with original data structure, backing up DVD to MKV, while keeping all/selected video/audio/subtitle tracks. 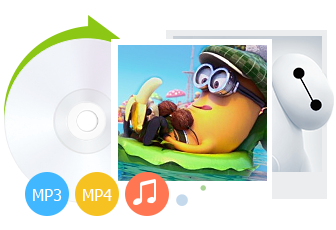 With the DVD ripping software, it's easy for you to extract favorite video segments from DVD and upload the wonderful video clips to popular video sharing site, like YouTube, Google, Facebook, Vimeo and so on. 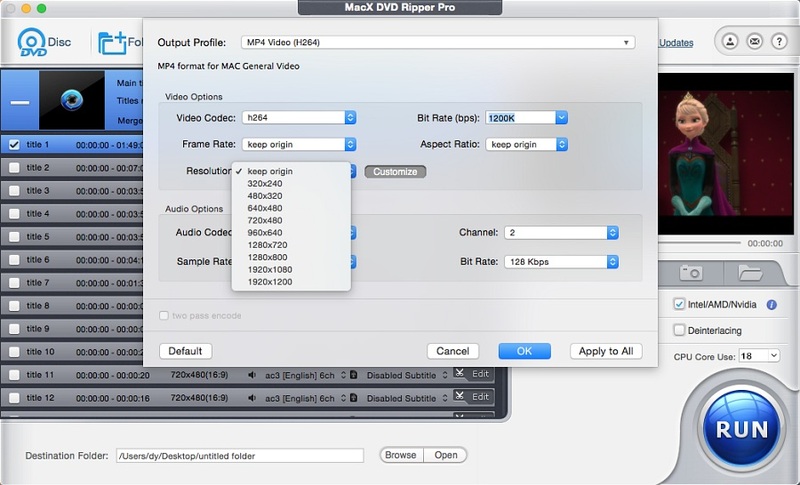 For Advanced users, MacX DVD Ripper Pro gives you the choice to adjust the decoder/encoder parameters to suit a particular use. The output settings can be tailored in terms of video codec, video bitrate, frame rate, aspect ratio, resolution, audio codec, audio channel, audio sample rate, bitrates, etc. Trim - Extract video clips/segments from DVD to cut off the trailers and ads. Crop - Crop frame size to edit out any unwanted borders, backdrops. Merge - Join and combine separate movie titles into a single video file. Subtitle - Hardcode/softcode subtitles. Add external subtitles to attach your preferred language subtitle to movie. It is capable of extracting picture from DVD movie which can be used as wallpaper for your Mac computer or iPhone iPad. It also helps you rip MP3 music from the DVD to enjoy them on your iPhone iPad iPod Android or MP3 players. The choice of over million users to rip, convert and copy DVDs in 5 minutes. 5 Star Awards. 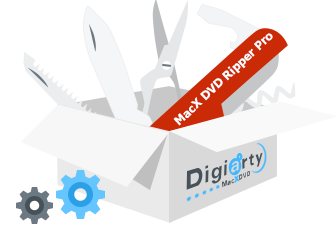 For Mac OS X 10.5 Leopard or older, please download MacX DVD Ripper Pro (32-bit). Top 3 Free DVD Rippers for MacThis is a complete review of DVD ripper freeware that is set to digitize DVDs freely. Rip & Convert DVD to MP4 on Mac FreeMP4 is known for wide compatibility. 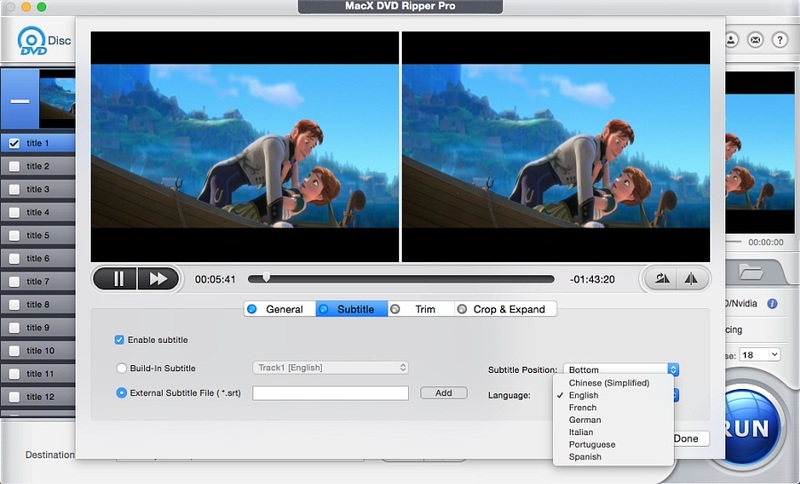 Take a look at the guide to convert DVD to MP4 on Mac freely. Back up DVDs to Hard Drive on Mac Follow the tutorial to copy DVD movies on Mac's hard drive for easier storage and archiving. [Guide] How to Use MacX DVD Ripper Just 3 Steps to finish DVD ripping with MacX. Load DVD, choose output format and click RUN. Rip A DVD with Free DVD DecrypterGrab a free DVD decrypter to rip DVD discs for limitlessly playback and better storage regradless of knotty DVD protections, like 99-title etc. How to Rip Protected DVD on macOSIf your ripper crashes halfway or informs you of various errors when ripping protected DVDs on your Mac computer. Here are the fixes. How to Copy DVD on Mac with the Best Possible QualityDVD is vulnerable to scratch, fingerprint or damage. So duplicating DVDs for lifesaving or getting rid of the physical discs in case you don't have more room for them seems to be essential. This tutorial walks you through the simple steps to copy physical DVDs on Mac effortlessly, with original quality.